The entities presented their annual reports to the Portfolio Committee on Water and Sanitation. The Trans-Caledon Tunnel Authority (TCTA) said it had been able to raise funds in order to finance its projects and they had been delivered accordingly. One of the biggest highlights was the pipeline that supported the commissioning of the Medupi power station. The pipeline was 43 km long and had been delivered within the budget and time expectations. The projects of the TCTA ranged from the dams and old projects to those that were being managed now. The TCTA was also trying to build a very strong opportunity for black companies beginning to participate in the construction business. The entity had invested some money for these businesses to grow with the big ones. Three years ago, the amount put towards these businesses had been R5 million, but now the amount had increased to R600 million and was moving towards R1 billion. The Water Research Commission (WRC) said the year 2014/15 had been a good one for the WRC. It had managed to recover from the audit challenges of the previous year. It had supported the Minister of the Department of Water and Sanitation (DWS) in organising the National Water Week summit which had been attended by more than 400 people and had started a very important conversation about water and sanitation. The international Gender and Water Development Conference which was held in East London in November last year had been an extremely important means of getting a discussion going internationally around the issues of gender and water development. It had been the first of its nature held on the African continent. WRC had done a lot in capacity building and transformation. It was supporting students from historically disadvantaged backgrounds, and more than 60% of its research leaders came from designated groups. Science and technology research was absolutely critical for South Africa, and this was recognised by the government. The Breede-Gouritz Catchment Management Agency (BGCMA) described its strategic priority areas. Its contribution to improved intergovernmental relations and capacity building had been in marketing and communication, where 6 200 people had been reached through land care camps, Water Week, Youth Day and awareness days. On forums established and maintained, 25 water forums -- which included the Masazane Women’s Water Forum, the National Institute for the Deaf, Water Users Associations (WUAs) and Irrigation Boards -- had been supported. Due to the gazetted Water Policy Review, the target for the finalisation of new WUAs could not be reached. On water allocation reform, it had supported resource-poor farmers by facilitating 192 rain water harvesting tank applications. It had received an unqualified audit report for the 2014/15 financial year. Members were concerned that some of the entities had not addressed how they would deal with issues of fruitless and wasteful expenditure. They were also concerned their lack of plans on how to reach the minimum target of employing 2% of disabled people in their ranks, as well as increasing the opportunities for women and youths. Members wanted to know how the WRC had assisted the DWS with information and possible solutions to deal with the heatwave situation currently facing South Africa. Mr James Ndlovu, Chief Executive Officer, Trans-Caledon Tunnel Authority (TCTA), said the intent of the presentation was to give the Committee a sense of what the entity had done and the steady hand with which it had managed the organisation in the current environment. Additionally, it wanted to assure the Committee that by the time stewardship was brought to the TCTA, it would still be a going concern. The TCTA had been given a mandate to raise money from banks and other institutions to deliver on particular mandates that the Minister had given to the Board to deliver on. What was reflected in the presentation was 13 projects and their progress to date. TCTA had been able to raise funds in order to finance the projects, and they had been delivered accordingly. One of the biggest highlights was the pipeline that supported the commissioning of Medupe. The pipeline was 43 km, and it had been delivered within budget and time expectations. The projects of the TCTA ranged from the dams and old projects, to those that were being managed now. These included the finalisation of the debt for the Black River Project in Cape Town, the refurbishment of the Umgeni pipeline, the Tusi, which was basically the Olifant project in Limpopo, and another pipeline for the Komati scheme which had been delivered on time with a saving of R500 million. In terms of the Acid Mine Drainage (AMD), three drainages had been established, with the water basin being finished. The eastern basin would be commissioned in February-April next year. The water basin was also a joint project with Sibanye, and it was doing very well at the moment. The organisation projected that all projects would have been financed with the agreement made with the Minister, and the projects had indeed been fully funded because the market had been agreeable to provide the money. The transformation agenda reflected the skills development by the organisation over the financial yea, as well as enterprise development. Black-owned companies had been empowered, with R690 million going directly to these companies. Additionally, to promote local economic development, the projects were being done locally. Looking at the organisation itself, it was still healthy, had an unqualified opinion and markets were still finding it to be a healthy environment to invest in for water projects. Ms Halima Nazeer, Chief Financial Officer, TCTA, said what had been done in the financial summary was to explain what the entity's cash inflows had been for the year, its context and cash outflows. The majority of the cash inflow was from tariffs on the various projects. Transfers from the Department were for social projects and drawdowns from loans. On interest, there was a redemption portfolio which had been created to repay TCTA’s debts and results in spending a bit of interest. On the utilisation of cash, a huge portion was related to capital expenditure. A significant portion had also been paid in royalties to the Lesotho Government. Remuneration represented only 2% of the cash outlays..
TCTA had received an unqualified audit opinion from the external auditors, which had confirmed its status as a going concern. Mr Ndlovu said in conclusion that TCTA had carried out all of its projects in line with the government’s mandate. There had been participation in a few projects taken directly from the Department and the Minister, which had been implemented in such a way that they articulated government’s agenda of job creation, skills development and enterprise development. Simultaneously, the TCTA had had to try to find the most cost effective means of financing these projects. The TCTA was also trying to build a very strong opportunity for black companies beginning to participate in the construction business. The entity had also invested some money for these businesses to grow with the big ones. Three years ago, the amount put towards these businesses had been R5 million, but now the amount had increased to R600 million and was moving towards R1 billion. Ms Barbara Schreiner, Chairperson, Water Research Commission (WRC) said 2014/15 had been a good year for the WRC. It had managed to recover from audit challenges from the previous year. It had supported the Minister of the Department of Water and Sanitation (DWS) in organising the National Water Week summit which had been attended by more than 400 people and started a very important conversation around water and sanitation, and how to move on this in the country. The international Gender and Water Development Conference had been held in East London in November last year. This had been an extremely important for getting a discussion going internationally around the issues of gender and water development, and had been the first conference of this nature held on the African continent. WRC had done a lot in the field of capacity building and transformation, as well as supporting students from historically disadvantaged backgrounds. More than 60% of WRC’s research leaders came from designated groups. Science and technology research was absolutely critical in South Africa, and this was recognised by the government. One of the challenges WRC had was to ensure there was sufficient budget available for scientific research and the innovation that was required, WRC was looking very hard at how to find a way to increase the amount of money that was available to the entity through various mechanisms, to make sure there could be the development needed in water-scarce countries. The current Board was coming to the end of its term of office and there was a process in place to appoint a new Board. Mr Dhesigen Naidoo, Chief Executive Officer, WRC, said the WRC had met all its targets and in some important areas it had exceeded them. Over the past five years, WRC had completed 421 projects, and this was an important marker. The number of projects being finalised was averaging out at around 80. In the initiation projects, there were two trends that were not clear from the numbers. One was that the entity was operating over a longer term with more complex projects that were multidisciplinary in nature, which would dictate that the number of projects would decrease. This had not happened, because simultaneously a number of short term studies were being done to support policy decisions and the implementation plans of government in various areas. On the transformation of South African society, the project being emphasised here was around the issue of sanitation. What WRC had found with international partners was that the country was actually leading in non-water-borne sanitation -- either dry sanitation or low flush sanitation -- and this was critically important, as many countries were borrowing from South Africa’s experience, and the technology would eventually be used to provide sustainable development goals for the world. It had also done work on the re-harvesting of energy from the water system through different means from conventional hydropower. In this case it was conduit hydropower, and on the back of WRC’s studies, it had been demonstrated in the City of Tshwane, and in the headquarters of Bloom Water, the water board was now running off grid, based on its own conduit hydropower. The WRC was doing very well in the realm of students, both on the number of students being accommodated in the WRC Project and in the organising of the diversity of the student population doing higher degrees in the water domain. 83% come from previously disadvantaged backgrounds, and there were 32 small, medium and micro enterprises (SMMEs) leading WRC projects. The number of active projects with HDI participants was 68. In terms of human resources, 89% of WRC’s staff was from designated groups. The proportion of blacks was 72%, and that of women was 56%. On strategic initiative, although this had been a Ministerial initiative, the WRC had organised a the National Water and Sanitation Summit. It had had a lot of participation from Parliament, the Portfolio Committee on Water and Sanitation, and other committees as well. It was the kind of inclusive conversation around the future of water and sanitation that had been proposed for a while. Another point WRC wanted to emphasise was its relationship with the science and technology sector. Partnering for innovation with the SASTDP (Sanitation Technology Demonstration Programme) had been another highlight from the financial year. The Gender and Water Development conference in East London had found International momentum and had become a significant feature of the World Water Week. Mr Phakamani Buthelezi, Chief Executive Officer, BGCMA, said its strategic priority areas included water resources planning, water use management, institutional engagement, water allocation reform, resource protection, information systems, strategic support (finance & human resources) and management & governance. It had a total of 29 staff members, of which 18 were females. - 320 land use planning and rezoning applications had been assessed and commented on, exceeding the target of 140 by 228%. - Engagement with all eight local authorities on water use planning on 50 issues. - The Onrus River Water quality objectives report had been finalised. - The Onrus Surface-Groundwater interaction study report had been finalised. - One status quo report had been finalised for Langeberg municipality (4 towns). - The Breede-Gouritz Catchment Management strategy process could not commence, as the establishment of the BGCMA as formal entity had been finalised only late 2014. BGCMA’s contribution to improved intergovernmental relations and capacity building had been in marketing and communication, where 6 200 people had been reached through land care camps, Water Week, Youth Day and awareness days. On forums established and maintained, 25 water forums -- which included the Masazane Women’s Water Forum, the National Institute for the Deaf, Water Users Associations (WUAs) and Irrigation Boards had been supported. Additionally, three new partnerships had been established. Due to the gazetted Water Policy Review, the target for the finalisation of new WUAs could not be reached and irrigation boards could not be transformed into WUA. On water allocation reform, it had supported resource-poor farmers by facilitating 192 rain water harvesting tank applications. The Breede-Gouritz Catchment Management Agency had received an unqualified audit report for the 2014/15 financial year. On the income and expenditure financial report, the revenue had been R40 million and the operating expenditure R24 million. In 2013/14, the total expenditure had been R26 million. Ms Patience Nyakane-Maluka, Chairperson of Inkomati-Usuthu said that last year it had an interesting conference called REMCO. The River and Environmental Management Conference was held bi-annually and had been hosted successfully. This year, Inkomati-Usuthu would be hosting the women in the CMA’s conference in December. It was proud that it had received an unqualified audit opinion, with the support of the Minister and officials of the DWS. Ever since the entity had been the Inkomati Usuthu Catchment Management Agency (IUCMA), it had made strides in the catchment area. Its impact had been felt wherever it went and made presentations to stakeholders. It was always emphasised that ever since there had been CMA’s, the stakeholders’ lives had been elevated to a better level. Dr Thomas Gyedu-Ababio, Acting Chief Executive Officer, IUCMA, said in the year under review, all meetings had been convened in accordance with the 2014/15 annual performance plan (APP). Under regulatory compliance, IUCMA received new delegated functions from the Minister of DWS on 2 May 2014. The 2015/16-2020/21 strategic plan had been developed and submitted to the Department. At the request of the DWS, the APP for 2015/16 had had to be revised and submitted by not later than 13 February 2015. – The Inkomati flows that were published in the fourth quarter. The IUCMA had received extensive media exposure due to events hosted in the province as well as internationally. On resource protection and waste, 200 monitoring sites had been sampled on a monthly basis to assist in decision making. An annual Water Quality Status Report had been shared with a wide range of stakeholders, enabling the institution to account properly to its stakeholders. The report showed not only the status of the water resource, but also profiled all wastewater treatment facilities in its jurisdiction. The discharge of wastewater from these facilities posed by far the highest risk to water quality and river health, as well as the health of the communities. River health monitoring studies had been undertaken in the Komati catchment area. On IUCMA’s effective enforcement, 29 notices and 31 directives to non-compliant water users had had to be issued, according to the operational requirements. The systems for integrated planning and operation of river systems effectively had been implemented. Two operating systems had been developed. The operating committee for the Crocodile River (CROCOC) was fully operational and the reporting of water quality had been added to the agenda during the year. On co-operative governance, nine environmental impact assessments (EIAs) had been received and evaluated within the set timeframes. This had also been the case with the 63 environmental management plans (EMPs) received during the year under review. Sound financial services had been rendered, as exemplified by the IUCMA checklist having been fully compliant with the Public Finance Management Act (PFMA). It had timeously submitted the required financial performance reports to the Minister and the National Treasury, and had received an unqualified audit opinion. Inkomati had some challenges regarding effective river operating systems and water allocation reform. The Kaap River operating rules had been drafted but not implemented, due to the priority to upgrade the server software first. It was anticipated that the rules would be implemented during the 2015/16 financial year. Water allocation reform was part of the water allocation plan (WAP), which could be implemented only after completion of the validation and verification of the existing lawful water uses. Due a delay in the completion of the validation project by the loss of cadastral data in the Office of the Surveyor General, it was anticipated that the WAP would commence in 2016. Discharge and water resource quality had been effectively monitored, and had revealed that pollution problems emanating from Waste Water Treatment Works (WWTWs) posed serious health risks. Apart from the notices, directives and police cases, interactive structures had been established with relevant structures such as the South African Local Government Association (SALGA) and Cooperative Governance and Traditional Affairs (COGTA), to find solutions together. The Chairperson said the WRC was the only entity that used the Auditor General (AG) for its books. While the Department of Environmental Affairs was dealing with the Working for Water programmes, there were still some water entities, like the BCGMA, that were involved in such a programme. He had heard that water entities also dealt with licensing, while the DWS was doing the same. Was this not duplication? He was puzzled to hear Inkomati-Usuthu talking about pollution in water-related treatment activity. Having been to a few of them, he was trying to reason on how this had happened. Mr T Makondo (ANC) asked for an explanation on the licensing done by the CMA’s as well as the DWS. He said Breede-Gouritz had underplayed its vacancy rate, and wanted to know what processes it had put in place to deal with the issue, and what type of people were needed. He asked the TCTA to brief the Committee on its land acquisition, and how difficult it was to manage this issue. On the project the TCTA was implementing, how big was the problem it was dealing with and how was TCTA managing it. The WRC had made a very good presentation, but he would like to pose a challenge – with the increasing heat waves, what research could it come up with to ensure that farmers reduced their water usage, since they used 64% of the country’s water. South Africa was a water scarce country and if this continued, it would be a serious problem. Ms T Baker (DA) said the WRC had a very interesting presentation, and she would like to visit or attend one of its projects. On WRC’s role in advising the government, specifically on forward planning for scenarios of climate change and drought, what role had it played in advising the Department on how to prepare for these kinds of scenarios? Part of WRC’s policy mandate was also on government planning and the management of the supply and delivery of water, so how had it assisted the Department to curb the current water losses, which were about 37% above the international average and equated to a loss of R7.2 billion. What information had the WRC passed on to the Department for curbing these losses and providing possible solutions? She had a bit of a concern with how Inkomati-Usuthu had managed the pollution in the Crocodile River area, and asked for an indication of water levels and water quality of this river. Mr L Basson (DA) asked for clarity from TCTA on whether the Crocodile Nokolo Pipeline Phase 2 was being completed, because from his understanding the pipeline for this dam would be completed only some time in 2017. He also asked for clarity on the royalties paid out to Lesotho, because in 2014, 16% had been paid out and in 2015, 14% of the cash flow had gone to them. He asked about Breede-Gouritz being authorised to give out water licences -- whether this function had been delegated by the DWS or whether this function had been delegated to all water boards. He asked Inkomati-Usuthu what the outcome had been of the 29 notices and 31 directives issued to non-compliant water users, and how they had followed this up. Mr D Mnguni (ANC) asked the TCTA how it planned if, in the middle of delivering a service, a contract expired. He had been moved by the WRC’s way of advising hotels on how to use water, but was concerned about the reports by the Auditor General on finance. He asked the WRC to clarify the issue of contracts of more than R500 000 without inviting competitive bids, and the contracts awarded to bidders that had not scored the highest points in the evaluation of quotations. He also asked for clarity from the WRC on the issues of leadership, monitoring and evaluation. He was moved by the way Breede-Gouritz had received unqualified audits on all its programmes, but was concerned that it had reported that some of the documents were incomplete, so they had not received authorization. He asked how it was checking its documents for completion before submitting. He said to Inkomati-Usuthu that the dams were getting dry, and asked what its plan on this issue was. Had Inkomati ever done a study to find out whether there might be acid mine drainage (AMD)? How many rivers had no flow, and what was the magnitude of the pollution? In all the presentations, he had not heard plans to reach the target of employing women, youth and the disabled. Ms N Bilankulu (ANC) congratulated all the entities that had managed to get a clean audit. She asked Inkomati what it meant by a positive outcome being realised on water pollution. Did this mean there was no longer a risk? She asked TCTA to explain the figures on targeted progress and actual progress. She asked if TCTA if it was monitoring or supervising people who were constructing the houses to ensure that these house were of good quality. What was the percentage target for employment of disabled people -- was it 1.4% or 2.5% that TCTH had achieved? She asked Breede-Gouritz how it was planning, because its targets were very low and the outcomes were very high. On WRC’s water research expenditure, it was clear that procurement processes had not been followed -- why was this the case? Even on fruitless and wasteful expenditure, WRC had no plan of action, so what was its plan going forward to correct this issue? The Chairperson said of all the stakeholders mentioned, Parliament had not been mentioned, but it was one of the key stakeholders. Mr Anil Singh, Deputy Director General (DDG): Regulations, DWS, said the questions, comments and challenges the Members had put to the Department was a demonstration of the rigorous role the Committee played in oversight. One of the unintended consequences of the country's democracy was that it had to deal with the services backlog, but it was clear the mandate of the national Department was water resource management, policy development, legislation etc, while the mandate of local government was water and sanitation services. In the evolution of the country’s democracy, a lot of attention had been paid to services because there was a need to redress the situation. Maybe the water resource management function had been slightly less focused on. Therefore the CMAs were part of the alignment, and the previous Minister had taken the decision to have rationalisation from 19 to nine CMAs, with the two that were doing very well in terms of the water resource management at the local level. The legislation required the entities’ boards to be appointed through a process. The appointments come to the Minister. Who carefully considers them and submits them to the Cabinet. Cabinet also carefully considers these appointments and approves them. The Department thus proceeds with the implementation of the process. The DWS was proud to announce that Cabinet had approved the appointment of a new TCTA Board, and the Minister was in the process of issuing the new members letters. However, in the absence of the Board, management had given stability because there had never been a concern about the TCTA as a going concern. The appointment of Dr Gyedu-Abibio had also been finalised, and the letter for his appointment had been processed by the Minister. Under Dr Thomas’s leadership, Inkomati-Usuthu had done very well in water resource management. On the question of which entities were being audited by the AG, as opposed to private companies like KPMG, there had been a discussion around this issue previously. One of the observations had been that the AG, in the exercise of its audit function, was perhaps more rigorous than private companies. It could still be a subject of further discussion, but the AG itself had limited capacity and it took on the entities which it wanted to audit. The WRC, under the leadership of Ms Shreiner, had been very good. The process of appointing the new board was under way and today there were interviews and submissions to the Minister. The issue of why Parliament had not been identified as a stakeholder had been raised. This had been unintentional. Since Parliament did the oversight, it was a very critical stakeholder and the Department and its entities could not function without it. Thus in future the Department would reflect that Parliament was a critical stakeholder. The question on skills, strategies, and retention was one of the cross cutting questions that included the Department, and was a concern about how skills were retained. The Department had come to present on the licensing, and the function had been devolved to the two CMAs. What the Minister and the Director General (DG) had requested be done was part of the review of the legislation and the policy, in looking at water licensing in the context of water allocation reform. The Minister’s thinking had been that the issue of licences had been based on business processes, but what had the contribution of the licence been to economic opportunities, etc? Thus the idea was to have the water resources management devolved to a local level, resulting in the delegation of the function to CMAs. However, the Department still had control of it and the Minister had the responsibility to delegate to DG the authority to sign the licences. Thus in this way it was not a duplication. The issuing of notices and directives on pollution had been presented to the Committee previously by the Department. If there was still non-compliance, then criminal prosecution through the South African Police Service (SAPS) and the National Prosecution Authority (NPA) would follow. 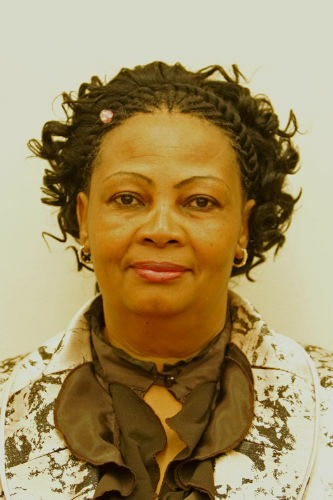 Ms Nyakane-Maluka said that the entity understood that the minimum requirement was to appoint 2% of disabled people. It was not about the 2%, but more. One objective of the Water Act was to redress the imbalances of the past, and IUCMA had pursued this in the current financial year. Part of this had been the appointment of the disabled community, and the agreement was that this was going to be cascaded down the entire institution so that when the next financial year came around, there would be a complete change. On the appointment of youth, there had been the appointment of a young woman who was 22 years old and a qualified accountant. There has been an appointment as well in the audit committee, who was a black woman with an LLB degree and fresh from university. Inkomati was also looking to fund young students who were keen on learning water resource-related subjects. The Chairperson had been on target with the remark that Parliament was a critical stakeholder, and that whatever Inkomati-Usuthu did; it would profile it to Parliament. Dr Gyedu-Ababio said that Inkomati had a body called Working for Water. They were in charge of eradication in the water area, and they doing quite a good job. On wastewater treatment and pollution, the overloading of the infrastructure was causing the problem. On the issue of the flow and the dam capacity, rainfall had not been good and there would be a problem if this continued, but there was a river operating system in place. Acid mine drainage was a problem in the upper Komati and Inkomati had come up with an AMD strategy, and a committee had been established. With the salinity problem, there was a water quality management framework and there had been one special study on salinity. A workshop had been held with all the stakeholders by Rhodes University and Inkomati was trying to use this model to ensure that it reduced salinity. When it comes to eutrophication, Inkomati was doing the national eutrophication monitoring on the dams for the Department. So far, results indicated that it was not a big issue at the dams being monitored. In the rivers, nutrient monitoring was being done as well on the nitrates and phosphates that could lead to eutrophication. Mr Buthelezi said he wants to emphasise that the CMAs were doing very well. A CMA was people centred, and Breede-Gouritz was receiving feedback that said it was a great improvement to have an office staff that was filled with people that understood the local water resources and problems associated with water management. It was for the same reason that it was opening another office in George. He would be irresponsible for not sharing the wishes of many South Africans who believed in the government’s policy of creating CMAs and local water management institutions. He acknowledged the remarks made by the Chairperson and Mr Singh on the importance of the Committee, because it part and parcel of the key decision makers. There was an African proverb that said, ‘a bird that sits on a tree for too long invites a stone,’ and from this perspective Breed-Gouritz firmly believed that it was important to continue engaging with everybody in so far as water use was concerned. Breede-Gouritz, as an entity, tried by all possible means to employ people across the spectrum. It currently has a human resource strategy that ensured that everyone who was equally able and ready to do a job was employed. The entity’s equity profile was fairly representative -- out of 29 people employed, 18 were females. He said the Department had taken a good decision by delegating some of the functions to the CMAs, because it was now clear who was responsible. Based on the nature of this delegation, the CMA acting on behalf of the Department made these decisions, but this did not mean that the Department ignored this role -- it continued to provide regulations, standards and an overall strategy picture of what needed to happen. On the question of targets for water use, these were previously just numbers. Together with the DWS, it was said that the focus needed to change because when it came to demand issues, a percentage should be used. Regarding water use applications, some had been handed over to Breede-Gouritz as a backlog from the Department, and it had done its best to fast track them. However, these applications were also dependant on the applicants themselves. Thus if there was incomplete information a decision could not be made. Mr Naidoo thanked the Committee for the questions and comments and said that the forum was a very important part of building a water research strategy for the country. On the issue around disability and youth, the WRC’s staff establishment currently sat at 1.6% on people with disabilities, and there were strategies in place to make this number move closer to the target, and this included a partnership with Disability South Africa. The WRC did not have many young people employed in the institution itself, but it had very large youth programmes. It participated in a number of internship programmes that were available, including the National Research Foundation (NRF) internship programme. There was also an empowerment fund as part of WRC’s research funding, to develop young researchers in the institutions. A great deal had been done in the domain of drought and heat waves, and the WRC was fairly certain that globally we are at the beginning of an El Nino cycle, and thus the heat wave may well be a temporary occurrence. The WRC currently had a very useful series of studies in the domain of policy advice. It was currently conducting water forecasts together with the Institution for Security Studies using a risk-based tool to do water forecasting over the next 30 years. The WRC was the custodian of the non-renewables study, which was the most comprehensive study of its kind done anywhere in the world. The study itself had triggered a massive policy response, including giving a lot of impetus to the war on water leaks that the President had launched. On the question of the cost of hydropower, the turbine itself cost R1 million and the total cost of putting it all together was R3.5 million. The projected payback from the saving in the electricity bill was currently between four and seven years. Mr Fazel Ismail, Chief Financial Officer, WRC, said the WRC admitted that there had been irregular expenditure on procurement. After the audit an investigation had been carried out, headed by WRC’s audit committee and an independent. It had been found that although the expenditure had been irregular in terms of following the processes, there was nothing fraudulent about it because it was largely because of a lack of expertise. What the WRC had done to rectify this was to employ a full time supply chain management (SCM) manager, supported by SCM offices. It has also established a number of committees to oversee the process. There was still work to be done and with the support of the CEO and the Board, the WRC would make progress. Mr Ndlovu said that the TCTA had tried to reflect fruitless and wasteful expenditure in the report. The TCTA had achieved the target of 2% for the appointment of the disabled now. It had established a strategic partnership with Disabled South Africa. On the youth, the TCTA programmes were targeted at three levels. One was always to target the youth within the vicinity of the footprint of infrastructure projects to train and skill young people. However, the TCTA also had its own internship and bursary programmes, and had employed people coming from these support programmes. The TCTA would have another programme for young people, to increase the numbers. The question of land acquisition was not an easy one. TCTA followed the laws of the country and also tried to look at the value of the property to be acquired. It discouraged issues of overpricing, however. It considered expropriation as the last resort. Mr Johann Claassens, Executive Manager: Project Management and Implementation, TCTA, referred to the problem at Olifants. This had been due the fact that initially TCTA’s mandate was to look at the Tusi, and it had received a directive only this year to also look at the bulk of the balance distribution works. However, the engagements it had had with the mining companies had been very encouraging, and while there might be fewer mines that were prepared to sign off-take agreements, there was still strong insistence from the mining community to participate in this project. It was hoped to have the offtake agreements by the end of this year, which would then be presented to the individual mines. This would allow the TCTA in the course of next year to raise funding for the implementation of the project. Mr Ndlovu referred to the Mokolo and Crocodile Water Augmentation Project (MCWAP), and said phase I of the project had been completed. It was a 43 km pipeline and was the one that was contributing to the Medupi programme. Phase 2 was currently being debated with regard to the size of the pipe and the volume. The debates were narrowing quite nicely and the project was looking attractive for funding. The cash flows were quite robust and TCTA believed that it should be able to be funded. He said TCTA paid royalties to Lesotho because of the water consumption from them; the total volume that South Africa consumed per year was close to 9 million cubic meters. There was an obligation to pay the royalties every month, and there had never been defaults on these payments because they were always paid on time and there was strategic reconciliation. Ms Nazeer said explained the difference between the 16% royalties paid for 2014 and the 14% for 2015. It had been lower in 2015 because an audit had been done on the Lesotho side and it had been picked up that TCTA had actually overpaid over the past number of years, and that had amounted to about R88 million. Thus there was a process of recouping this money, and at least 50% of it had been recouped in the 2015 financial year. This was what had brought down the royalties. The second aspect related to a slight decline in the volume that had actually been delivered into South Africa. On the potential loss because of fraud, the individual involved had been reported to SAPS and the matter was being dealt with. TCTA believed that it has implemented everything according the requirements. On the question of monitoring the houses being built to ensure quality, it believed that when the houses were delivered to communities that would have moved from the footprint of a project, government could not deliver sub-standard housing back to those communities, as those communities had entered into an honest partnership with the TCTA. Mr Claassens said TCTA’s mandate was currently limited to what was referred to as the first phase, which were the short term interventions. The progress on this had been very good. The Eastern basin was the last one under construction at this point in time, and the trial operation period would start from February to April next year. It was very critical that a long term solution was implemented as soon as possible, mainly because the short term solutions released high salinity water into the river system, which then required dilution releases from scarce water resources. Thus the DWS had completed a feasibility study on this issue, considering the options on how to desalinate the water. The process was currently with the Minister and it was hoped that a pronouncement would be made by the Minister shortly. Ms Maluleke said she had not heard the TCTA address the issue of finances, and on giving tenders without quotation, as required by the PFMA. Mr Mnguni asked about the TCTA addressing the issue of not following its own policy. He asked the TCTA what the cost of the litigation had been, and how much litigation there had been. He asked Breede-Gouritz whether it had any dedicated staff to deal with the incomplete forms that had caused it to miss its target. Inkomati-Usuthu was asked how many rivers had been polluted. Mr Basson said Eskom had indicated that it would need to use 15.4 million cubic meters of water per year, and they got 10,9 cubic meters from the Mokolo Dam. He asked whether Inkomati had the new allocation that they would need for this operation. This was a concern and it had been raised -- the Minister had indicated that the pipeline project would cost R13 billion. He asked how Inkomati determined the cost of the pipeline if it still did not know what size of pipe it was going to use. Did it have any indication of what the cost of this pipeline would be? It still seemed like Inkomati was uncertain and wanted to know when this project was going to start. If it had not been finalised yet when Medupi comes on line it seemed the pipeline was still not going to be built. The impact of the Crocodile River was something that was uncertain for the Committee, and it received a lot of questions about it. Therefore if Inkomati had more information on this issue, the Committee would appreciate receiving it. Ms Baker asked the WRC for an indication of the preparedness of the country -- how ready was it to deal with the situation that it was currently in. She asked for clarity from the TCTA on its project. The Chairperson said when the Committee had visited Germiston Basin, it had been told that at that time it would have to wait 18-24 months for it to be ready for a long term solution, so now it should be six months down the line. From what he understood, the TCTA had not even started doing anything on the construction of the plant itself. The Committee had also been informed that for the entity to be ready it would take about a year. Now with the time and associated risks, one was beginning to worry as to whether the target would be met. Mr Ndlovu said that it was true that TCTA had put in a proposal and a strategy for the long term, projected on how it would have seen the three basins being finalised as short to medium term, and then begin to deal with the future projected value and the approach to the long term. The proposal on the strategy and ideas had been submitted to the Minister for consideration. TCTA’s view was that it needed to run the plants that it currently had, and even test their full capacity on implementation and delivery. The central basin at this point in time had tested the pots even the reservoirs, including the mechanisms that they had to deliver. In actual fact it was influencing the finalisation of the Germiston plant so that there were major design issues when this project was done. He said the TCTA believed that when the Minister pronounced, the funding should be coming through, especially with the mechanisms that it had put in place on how it involved private sector funding for the project, because the water would augment the Vaal River System and save the government a few billion rand that would have been used to build a phase three in Lesotho. Mr Claassens said the issue around the 18 months was that if the Minister pronounced who needed to provide the long term solution, and that decision was taken in October, the first step would be to do an EIA for the long term solution. The timeframe for the EIA would extend it to the 18 months. One could see how this process could be accelerated. It was likely to take a year to do the EIA. In parallel to this process, one could start the procurement process to line up the contractors that would participate in the implementation of the long term solution. However the construction process was not seen to be more than two years. Thus a more realistic timeframe for a long term solution would be the one year of the EIA and the minimum of two years’ construction. Currently, the TCTA’s mandate was limited to the short term solution, and as far as the progress was concerned, TCTA was doing very well. The eastern basin would be completed by February next year. He said the funding of the project was not a concern, because the National Treasury had indicated support for the long term solution. Ms Nazeer said what had been put in the annual report related to what was seen as potential litigation costs, because all of the matters were under discussion or debate, so the costs would be known only once the outcome had been given in favour of TCTA, or in favour of the claimants. However, at this point in time, what was reflected was a potential cost of R18-20 million. The question about the three quotes related to items under R200 000 each, because all items being procured over the value of R200 000 went through an open tender process. What happened in these instances was that there had been a conflict between the supply choice policy and the delegation of authority. TCTA’s policy stated ‘you need to request three quotes’ whereas the delegation of authority said ‘you must obtain three quotes’. Thus what was actually being implemented was the request for three quotes, and what had been done was that TCTA had picked up the conflict and was currently fixing it. In the meantime, the process of quotes under R200 000 getting three quotations had been implemented. The Chairperson asked how TCTA had financed the Germiston basin. Mr Ndlovu said the funding of the AMD project had been done at the back of an initial government allocation of about R200 million. Subsequently TCTA had an arrangement were it continued to have an agreement with the Department to find money to be able to finance the project. However, it had agreed that when the Department was still looking for funding, it might have a bridging mechanism through the earnings on the Lesotho programme. Subsequently, TCTA believed that by the time it went to the market to raise money for the AMD project, it would not have done too much borrowing from one project to finance the other project. Dr Gyedu-Ababio referred to the question about the number of polluted rivers. Inn some cases there were streams coming to join the main river. This might be good, but as soon as some sewage came down, it became polluted. All the main rivers had been polluted in one way or another by sewage. Ms Schreiner said drought was not something new. South Africa had been dealing with major droughts for all of its history, and the drought was likely to get intense and worse and put more pressure on the country's water resources. Thus managing this would get even more difficult, but South Africa had a very well developed infrastructure and therefore had more storage per capita than most other countries on the continent, which served to help it get through drought. The country’s droughts were around seven to nine years, and this was particularly a bad one. The impact on dry land agriculture was the responsibility of Water Affairs, and was managed by the disaster management response. What the Department and the municipalities could do was to manage how water from dams and groundwater was used sustainably. All of the Departments had operating rules in place and these basically said that when a dam reached a certain level, these were the restrictions. The Department had become involved in a process a couple of years ago of working with municipalities to try and make sure that they also had operating rules in place, because part of the transformation process was that people had the operating rules sitting in their heads. The Chairperson said on a matter related to alien vegetation, that he was very keen to get a sense from the Department on its relationship with the Department of Environmental Affairs. Clearly this was a matter that talked directly to water. The programme was called Working for Water, and by right it was supposed to reside in the DWS. Mr Singh said the Department was currently dealing with this. The previous Ministry had been the Department of Water and Environmental Affairs. A decision had been taken that the project Working for Water should be transferred to the Department of Environmental Affairs (DEA), but DWS had a very good relationship with the DEA. There had been a Memorandum of Understanding that regulated this relationship. The decision to be made was whether the Working for Water programme should come back to the DWS and this had been raised, and it would take up the discussion further with the DG and the Minister. The DWS believed that currently the working relationship it had with the DEA was in many instances the kind that enabled it to address the challenges it faced. The Chairperson thanked the DWS and the entities for their participation.